powered by Global Premier Soccer (GPS) the official North American Youth Partner of FC Bayern. Watch the videos below for the full story about FC Bayern Munich's entry in US youth soccer and our affiliation with them. 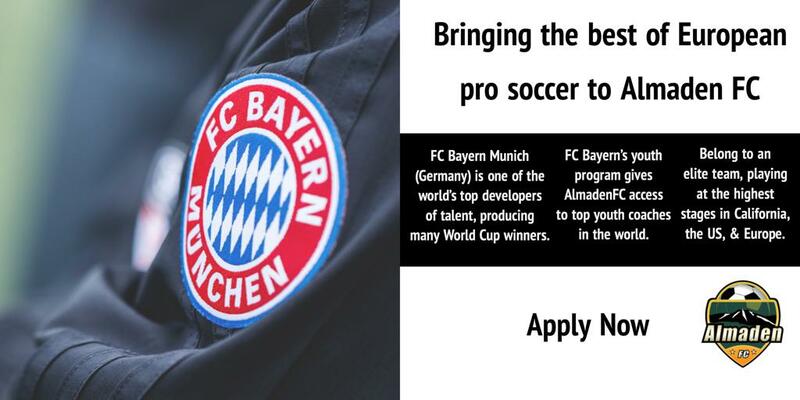 Then fill out an application to see how you can be a part of the FC Bayern/GPS experience. ©2019 Almaden Soccer / SportsEngine. All Rights Reserved.